Publié le : 14 septembre 2018 Type d'actualité : Autres. 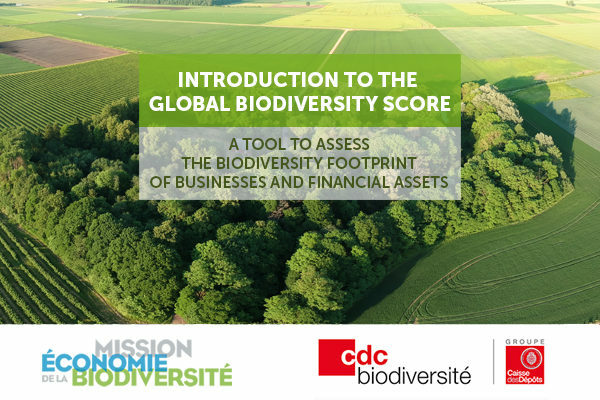 Biodiversity footprint assessment tools are being developed globally to appropriately track the impact of businesses and financial institutions, and potentially to help set post-2020 international targets for biodiversity. 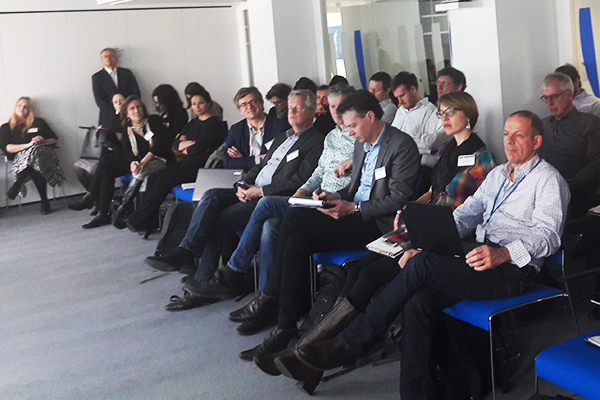 The EU, France, the Netherlands and Germany are very active in the field of business and biodiversity, natural capital, and biodiversity footprint assessment tools. The EU launched a Sustainable finance action plan, which will result, among other things, in a sustainable finance taxonomy establishing criteria and metrics to assess the sustainability of financing instruments. China has been working on ecological footprint assessments since at least 2008, has established a business and biodiversity group, and is active in the field of natural capital and ecological footprint. China is also a global leader in green bond issuance and investors are feeling the need for metrics and indicators to track the actual environmental benefits of green finance instruments. This side event was organized by financial institutions which are collaborating to push an ambitious biodiversity footprint agenda: ASN bank, a sustainable Dutch retail bank, which formulated the long term goal to be Biodiversity Positive by 2030 and has been measuring its impact since 2016 through the Biodiversity Footprint for Financial Initiative (BFFI), CDC Biodiversité, a subsidiary of the French public Caisse des Dépôts financial institution which is developing the Global Biodiversity Score (GBS) to assess the biodiversity footpring of global businesses, ACTIAM, a Dutch sustainable asset manager with € 54 billion assets under management, and is supported by Finance in Motion, a German Impact investor. It is supported by the governments of France, the Netherlands, Germany, China (to be confirmed) and the European Commission. The side event was held on 18 November at 13:15 in the Event Tent (the largest side event venue, with capacity for 250 people) Outside Building 1, COP14 CBD, Sharm El Sheikh International Congress Center (SHICC), Sharm El Sheikh, Egypt. 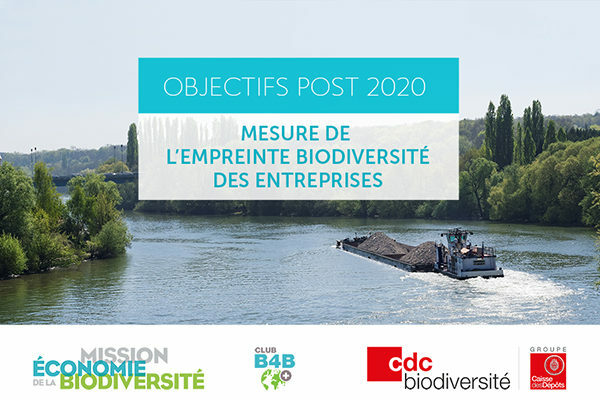 company’s biodiversity footprint, speech by Antoine Cadi at the Business Forum’s Panel: Tools for Mainstreaming on 15 November 2018. Download. Evolution of corporate biodiversity indicators – UNEP-WCMC, Matt Jones, Head of Programme, Business and Biodiversity Programme. Download. Common standards for a biodiversity footprint of financial institutions – CDC Biodiversité, ASN bank, ACTIAM, Finance in Motion – Joshua Berger, Global Biodiversity Score Project Manager (CDC Biodiversité) and Roel Nozeman, Senior Advisor Biodiversity (ASN Bank). Download. Lessons learnt – the use of the GBS to assess raw material supply-chains and listed equities – CDC Biodiversité, Joshua Berger, Global Biodiversity Score Project Manager. Download. Objectives of no net land artificialisation and mandatory biodiversity footprinting of businesses in the French National Biodiversity Plan – French Ministry for an Ecological and Solidary Transition, François Lengrand, Deputy Head of the Biodiversity and Environments Office, Directorate of European and International Affairs. Download. Global Biodiversity Score: measuring a company’s biodiversity footprint: Report describing the Global Biodiversity Score (GBS) publication as of November 2017 (methodology under development until 2020), a tool to assess the biodiversity footprint of businesses and financial institutions. Download. Towards ASN Bank’s Biodiversity footprint A pilot project: Report describing briefly the methodology used by ASN Bank, a Dutch sustainable bank, to assess the biodiversity footprint of several of its asset classes, and interprets the results obtained. Download. Common ground in biodiversity footprint methodologies for the financial sector – CDC Biodiversité, ASN bank, ACTIAM, Finance in Motion: Working paper to move towards a common standard for biodiversity footprint for financial institutions; also relevant for non-financial businesses as most of the concepts and methodological steps are similar. Download.